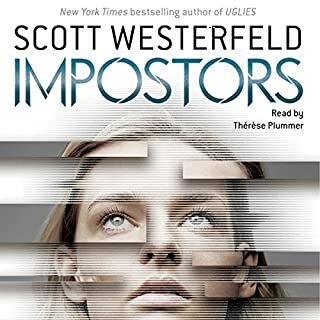 I have long been a fan of Scott Westerfeld's writing. I love a good afternoon length book. His work is always equally fast paced and thought provoking. I've been excited to read this title since he started promoting it on social media. It can be a struggle to find books with fully dimensional female characters, and I really loved the way the protagonist introspects throughout the story. She is interesting and relatable, and she has normal human flaws. I love the moments where she agonizes over people's reactions to something, only to have it be no big deal. It's also really refreshing to see a nonbinary character. Representation is important, especially in YA!